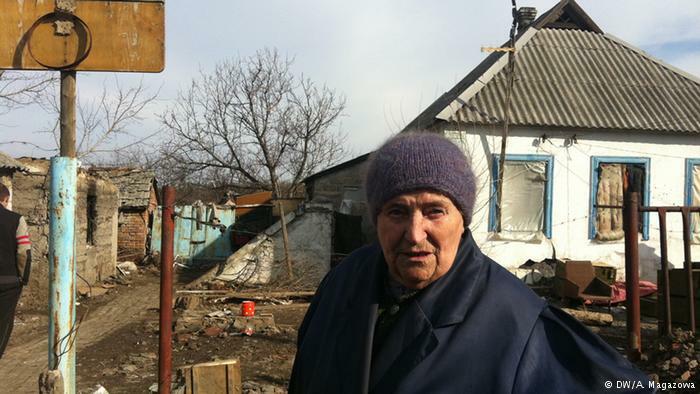 The house of 80-year-old woman Olga is located near to firing positions of militants, at a distance of 500 meters from them. She shows her slate fence which resembles a sieve - the impression that someone has trained to shoot from a machine gun. "Firings start of five or six in the evening and continue until midnight. What am I doing in these moments? I sit in my house, do not turn on the light, just wait. This is the second war in my life", - old woman says. 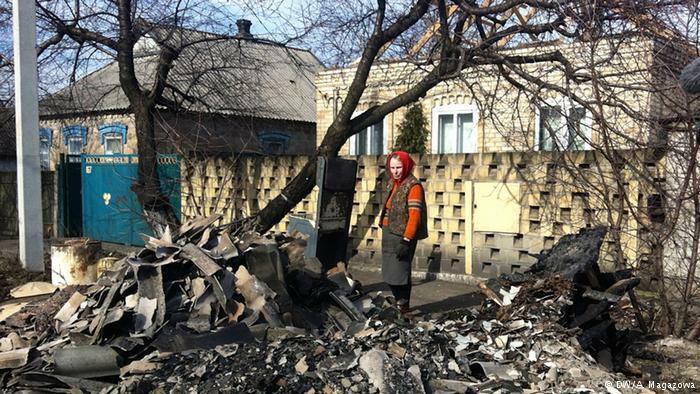 She did not want to leave her home and stayed in Maryinka, and now lives with her neighbor whose house is destroyed as a result of firings. And in the house of Svetlana who lives almost in the center of Maryinka the roof has completely burnt down during a firing. 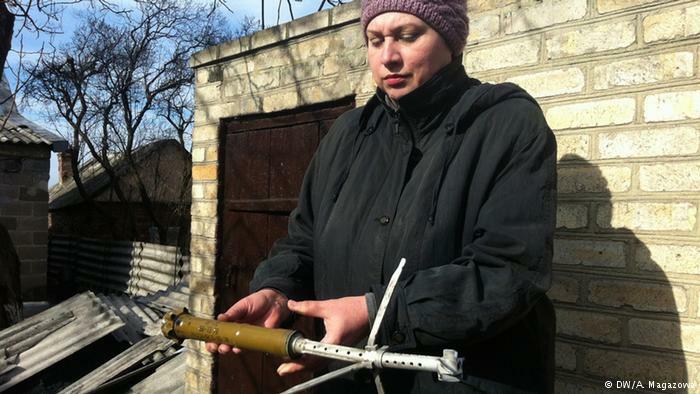 A mortar bomb has got into the roof in front of 45-year-old woman when she was in the yard. "We extinguished the fire together with our neighbors.The firing has continued, the balls were whistling, but we still carried water from the well. All it burned down "- the woman shows on the slate burned. They have began to recover the roof in the next day, the work continues. The icon of the Mother of God looks out the window of the house near the pile of remnants of the old roof, and the little dinky flag of Ukraine hangs over the door. A few streets further from Svetlana's home there is a house of 40-year-old Larissa. The woman invites to his yard, "Come, I'll show you what a souvenir I've got". Larissa takes out from her barn and shows the "souvenir" - the shell residue flown to her. The windows of her house are covered with metal shutters, but the bullet or splinter still managed to fly through the gap and break the window.There are many cats and dogs in Larissa's house.She explains that people went and left the animals, and the last came to her themselves. "Feeling that there is life" - says Larissa. Larissa is also working in the urban Art Center. Both women say that now have a lot more work than before the war. There are still children in the town; two schools are working. Parents are trying to occupy and distract the children from war in every way introducing them to classes at the clubs. "I would like to direct my energy in a peaceful course, to produce pictures and to work with children, - says Alina. - Think about life, not death. "